Our amazing Men In Black demo team go out in force to show off all types of SJ Games products. 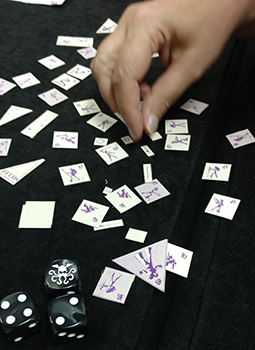 Recently, they've been demoing The Fantasy Trip, and we've got a few pictures of games in action! 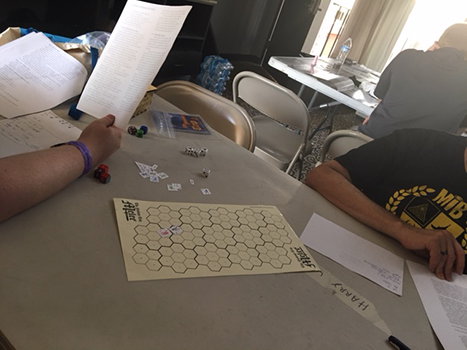 Some use our prototype printouts, and some use copies of The Fantasy Trip from the original release. 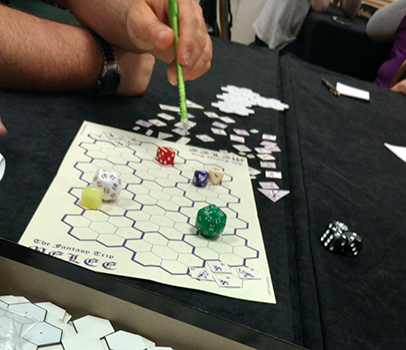 Steve even demoed at LibertyCon, so some fans had the rare treat of playing the creator. Thanks to all of our volunteers for their support! 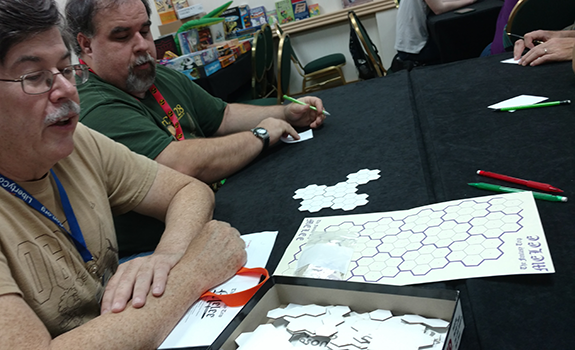 Do you have a game store or game convention near you? Check to see if they have a MIB; they can show you how to play a variety of SJ Games. If they don't, why not become a MIB yourself? We're always looking for more volunteers, and there are perks, like earning games! Check out our sign up link to find out more. Make sure to back The Fantasy Trip, now on Kickstarter. We're closing in on $200,000, and a slew of new stretch goals; you can help us unlock them!